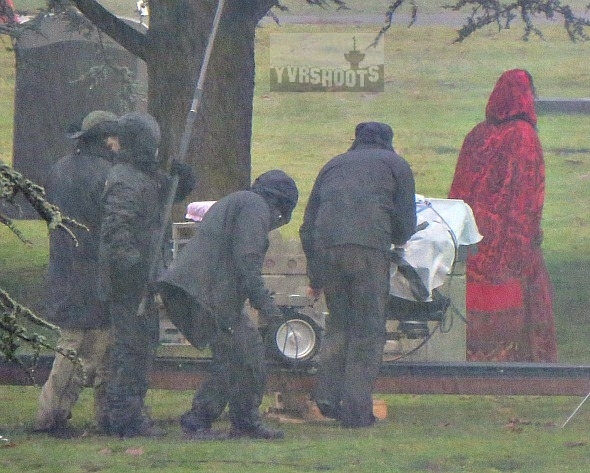 Ruby returns on the upcoming Once Upon a Time episode Ruby Slippers this Spring. 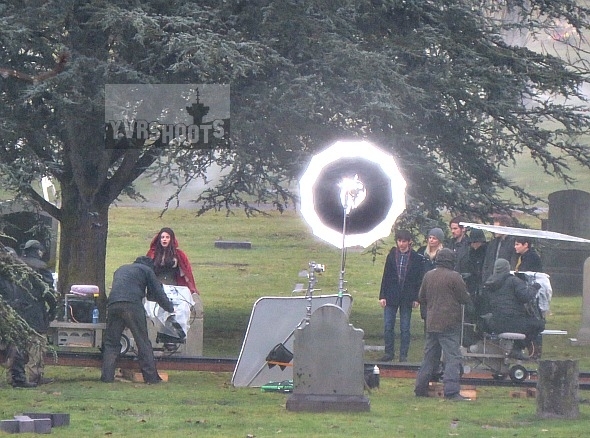 Director Eriq La Salle shared a photo on Friday of Ruby aka Meghan Ory with the cast. 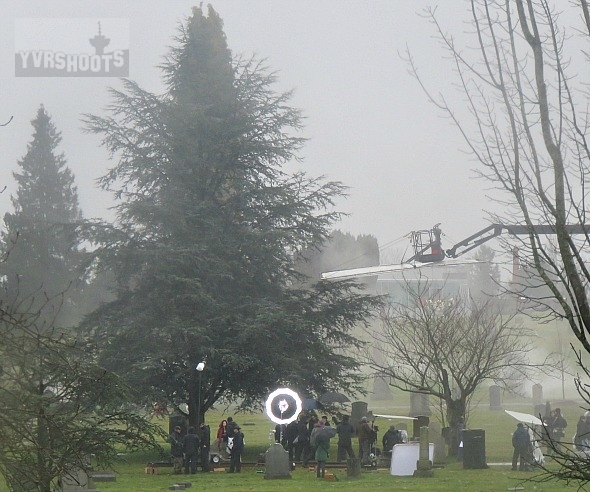 That makes the late January shoot in Vancouver’s Mountain View Cemetery less spoilery. 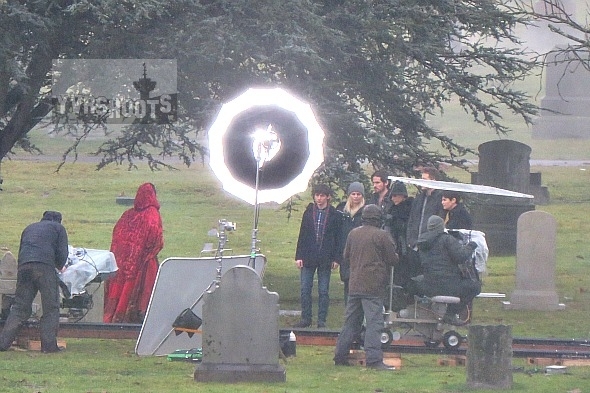 Ruby and the gang — Henry (Jared Gilmore), Emma (Jennifer Morrison), Hook (Colin O’Donoghue), Regina (Lana Parrilla), Charming (Josh Dallas) and Snow (Ginnifer Goodwin) — in the cemetery. 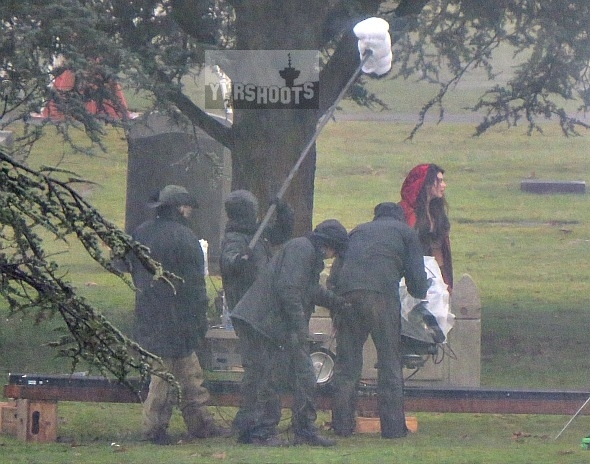 Once Upon a Time filmed three nights in Vancouver’s Everett Crowley Park for this episode, where fans saw Mulan (Jamie Chung). Just an FYI, Eriq is directing #519, “Sisters”, not “Ruby Slippers”. That would be Romeo Tirone. That’s what I thought too but fans saw Eriq La Salle on set directing Ruby Slippers in Everett Crowley Park in late January. And he tweeted that he had a great time directing. So past tense. Why are Ruby and Mulan in the Underworld?